All of your favourite things in one bowl, this Chicken and Bacon Salad Recipe will convert any meat eater to salads. 1. Preheat the oven to Gas Mark 6, 200°C (400°F). 2. Toss the broccoli and mushrooms in a little oil, season with salt and pepper, place on a baking sheet in a single layer and roast in the preheated oven for 10 minutes. Mix them around after 5 minutes. 4. Meanwhile, heat a tablespoon of oil in a large frying pan. Season the chicken pieces and add them to the pan along with the bacon. 5. Cook until the bacon is crispy and the chicken is cooked through, about 10 minutes. 6. Place the chicken, bacon, broccoli, mushrooms, leaves and avocado in a large bowl. 7. Mix the dressing ingredients together and pour over the salad. Toss gently to coat everything in the dressing. 8. Transfer to a large serving bowl or serving plates. Spoon on the cheese and sprinkle over the pecan nuts. Serve with some wholemeal bread. 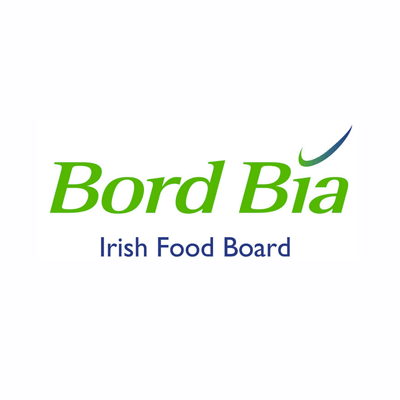 Bord Bia, the Irish Food Board, aims to bring the taste of Irish food to more tables world-wide. Their mission is to drive through market insight and, in partnership with industry, the commercial success of a world class Irish food, drink and horticulture industry.